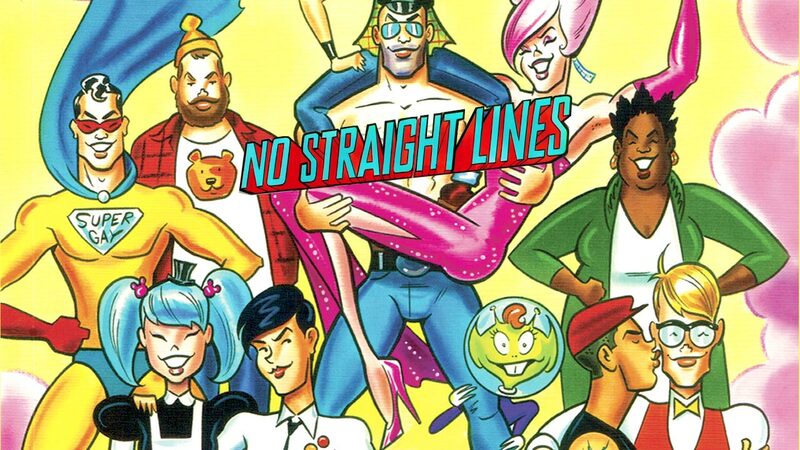 Sign up and get “No Straight Lines” news and exclusives! Thanks to Maurice Vellekoop for the amazing home page art! No Straight Lines tells the extraordinary story of 5 queer artists who tackled the big issues of the day and the quirks of daily life — and ultimately reached worldwide recognition. Their work and personal stories are sure to make you laugh – but also make you think about the challenges and triumphs encountered and overcome along the way. Queer comics existed in a parallel universe to the rest of comics, appearing in gay newspapers and gay bookstores, isolated from mainstream or comic book stores. This insular world of queer comics, however, created a fascinating art scene and amusing commentary on everything from the AIDS crisis and workplace discrimination, to the search for love and a good haircut. Over the decades, LGBT artists tackled complex issues of identity and a changing society with intelligence, humor and imagination.